Chateau Haut Bergeron – Luxury-focused. Estate-driven. World-renowned. This must be one of Sauternes’ best kept secrets … in spite of the wines being sold in bottle for more than half a century. The Château building is modest and the owners, Robert Lamothe, with his sons Patrick and Hervé, are charming and unpretentious. Part of the secret is location. The 28 hectares are split up with some vines in Barsac (next to Château Climens), some near the Château at Preignac and a large slice just next to Château d’Yquem. In fact, at one time the label used to state the words “contigu d’Yquem”. The other part of the secret is the total dedication and passion Hervé Lamothe devotes to his vines and his wines. Year in, year out, he produces Sauternes of Grand Cru Classé richness and concentration, with exotic fruit flavours of mangoes and peaches, perfectly balanced by vibrant acidity. 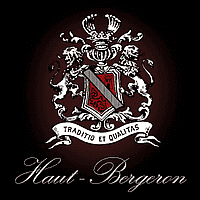 For us, Haut Bergeron regularly outperforms many of the famous classified growths of Sauternes.